When a new theme style is released, you cannot use the theme updater app to add it. You will need to install a "fresh" copy of the theme (see below for details). However, if you do not wish to switch to the new style, you can use the theme updater app. 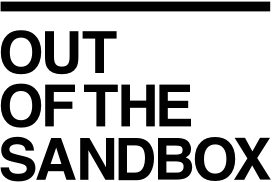 From time to time, Out of the Sandbox adds new theme styles to its themes. These typically have city names (such as "Dubai", "Florence" or "Chicago"). If you would like to use one of the new theme styles when it is released, this is NOT supported via the theme updater app. After updating the theme via the app, the new style name will NOT appear in the style list. In order to add the style, you will need to download a fresh copy of your theme and install from scratch. Look in your email archive for your original download link or contact support with a screenshot of your original receipt to receive a download link. This will, unfortunately, require you to move over any customizations manually. If, however, you do not need the new theme style but just want to take advantage of other new features and code updates, you CAN use the theme updater app!